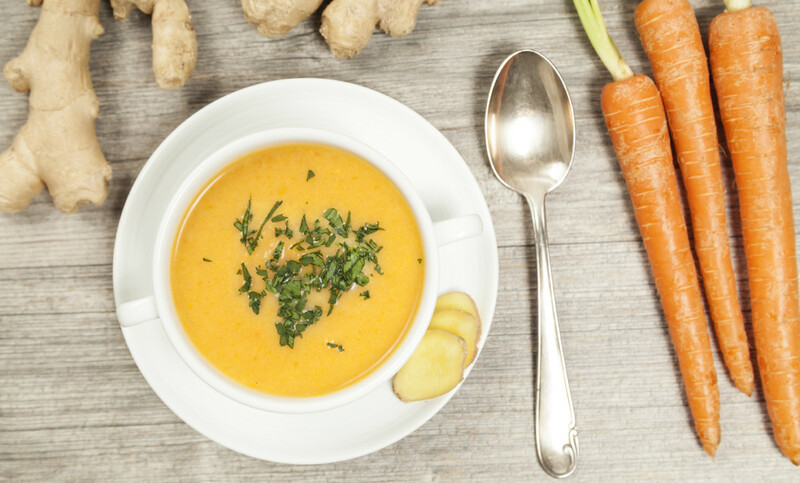 Carrots are great for eliminating toxins from the digestive tract, and ginger is anti-fungal. The oil that is used is coconut oil, which also has anti-fungal properties. Heat the coconut oil in a large saucepan, then add the onion, ginger and garlic. Cook for 10 minutes on a medium heat, until the onions are soft. Add the carrots and the chicken stock. Cover with a lid and simmer for 40 minutes until the carrots are soft. Use a stab blender to puree until smooth.